Everything yes. I’m obsessed with the long wide leg. It’s a perfect combination of white trousers with a black bold stripe that means buisness. Shop these trousers and get 40% off with the code AGM. 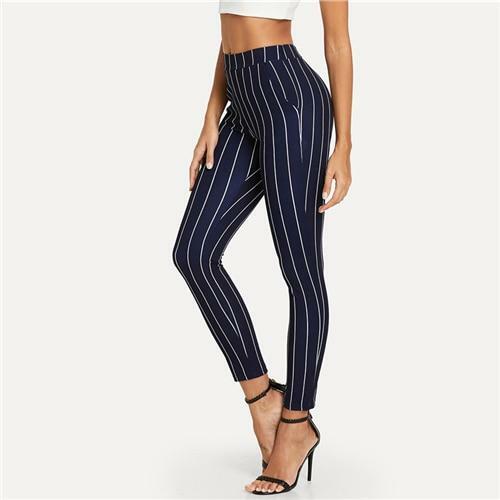 Besides the fact that these are flattering because they’re super high-waisted, they are also flattering because of the vertical stripes which will make your legs appear longer. I love the crop. It’s short, a little more above the ankle and totally in. Get the pants at a 20% discount with code VERO3099. More vertical lines. I told you they’re flattering. Please look at that gorgeous rolled cuff. This will be a timeless piece that you can dress up or down. It is an amazing look with sneakers and imagine how stunning when the heels come out! As always, here’s your hook up. 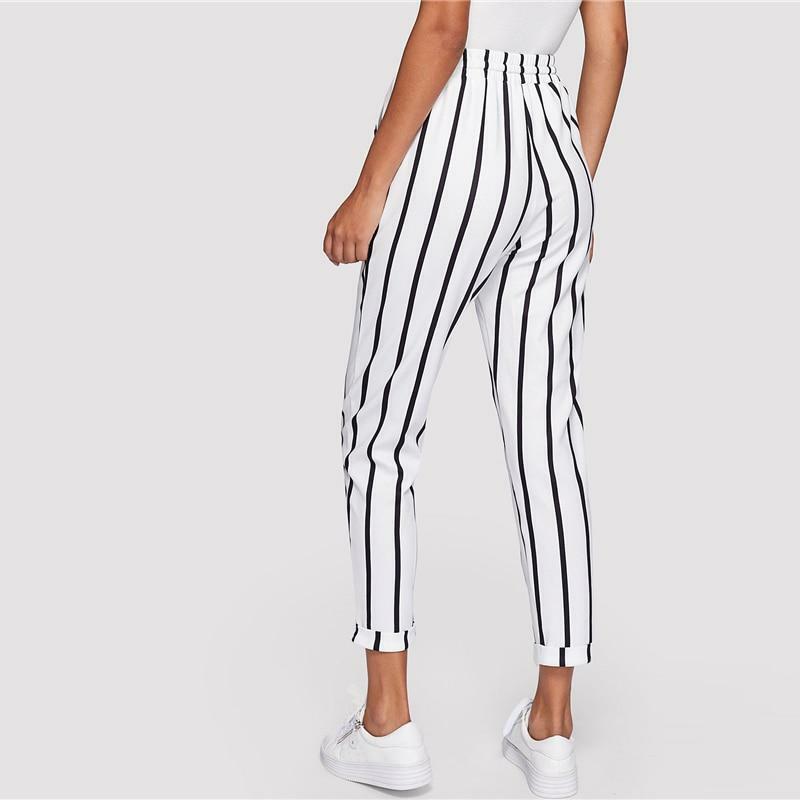 Snag these trousers for 20% off with code VERO3099. Want a pair of trousers in your closest distressed, painted, and fabulously customized? Email your girl at aok@aoksocial.com. I’m trying to be at a pool in Miami and until then I like buying outfits for my next vacation that may or may not be happening. RAHHRI’s Poolside Jumpsuit is everything floral, flowy and fab. What I love about rompers is that they look great on everyone and can be worn at the pool or a night out. Get that 35% discount with my code AKG. Wear this showstopper on a dinner date. RAHHRI’s Wavy Colours Dress with off the shoulder neckline says hey I’m on vacation and Imma dress like it. Plus, the colors are perfect fit for vacation beach spots. Snag this steal with my 35% discount code: AKG. This is a go-to summer look for me vacation or not. You can’t go wrong with a dress and jean jacket. AOK’s custom designer line sells cropped jean jackets, which are all the rave right now, and AOK will hook you up with a one you literally won’t see on anyone else. Email AOK to order your statement custom cropped jacket now!